Personal expenses, meals (lunch and dinner), entry taxes for museums visited individually. This tour operates for minimum 6 tourists. In case only one tourist wants to book the tour for a date that has no other bookings, the price will be double. Arrival at Bourgas International Airport. Transfer to the hotel and accommodation. Overnight in Bourgas. Breakfast. Transfer to Nessebar. Guided tour of the ancient town with millenniaold history, situated on a romantic rocky peninsula, connected to the mainland via narrow isthmus. Valuable monuments from all stages of its long existence are preserved here: remnants of fortress walls from the Roman times and the Middle Ages, old Byzantine and Bulgarian churches, antique 18th and 19th century houses. Visit to St. Sofia Church (4th century) - among the oldest in Bulgaria, the Archeological Museum, the early byzantine thermae, the house of Moskoyani, the old Amphitheater. Transfer to Varna. Overnight in Varna. Breakfast. Drive to Balchik - a small coastal town on the Black Sea. Visit to the Palace of Romanian queen Mary I - famous as the Quiet Nest. 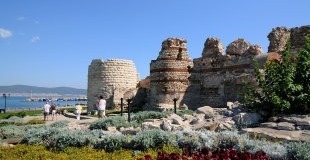 This complex has been constructed by orders of the excentric princess combining European, Balkan and Oriental motives. Free time at Balchik Botanical gardens - among the largest in Bulgaria they are famous for the second in Europe collection of cacti. Drive back to Varna. 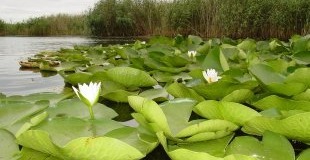 Sightseeing tour, including the Marine Gardens which are the largest in the Balkans and unique in the whole Mediterranean basin for their size (8 km long), arrangement and scenery. Visit to Assumption of the Virgin Church, one of the symbols of the city, which contains a finely carved iconostasis and bishop’s throne, some interesting murals and stained glass; Roman Baths, constructed in the second half of the 2nd century and considered to be one of the largest buildings in the eastern part of the Roman Empire; Palace of Culture and Sports with its unique architecture; Dolphinarium - one of the greatest attractions Varna can offer to its guests. Free time with an opportunity for a visit of the Museum of Archaeology. Overnight in Varna. Breakfast. 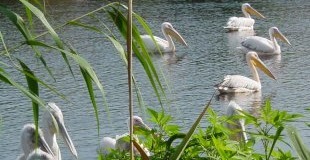 Departure for Silistra and the picturesque Srebarna Lake (Silver Lake) - one of the most important birding areas in Europe, where you will have the chance to spot the rare and famous dalmatian pelicans along with 220 other species from the local birdlife. 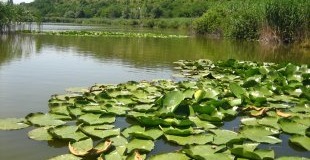 Visit to the information center of the lake. In the afternoon - drive to the Rock-hewn Churches of Ivanovo - a group of monolithic churches, chapels and monasteries hewn out of solid rock, completely different from other monastery complexes in Bulgaria. 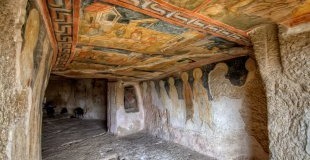 Owing to the world-famous frescoes from XIII-XIV century, beautiful examples of Orthodox art, they are included in UNESCO World Heritage List. Drive to Ruse - the largest city on Bulgarian Danube Coast, called Northern Gate of Bulgaria. Overnight in Ruse. Breakfast. Drive to Sveshtari - one of the most famous archeological excavations in Bulgaria from ancient Thracian civilization. 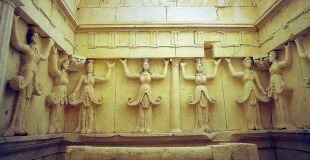 Visit to the tomb of a ruler of the Thracian Getae tribe with the cariatides - ten female figures carved in high relief on the walls of the central chamber. 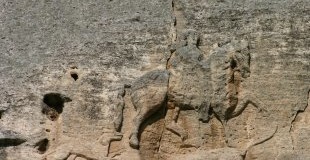 Travel to the heart of First Bulgarian empire near city of Shumen for a visit to one of the most famous monuments of the protobulgarians - the Madara Horseman, a stone relief high in the Madara plateu representing the Bulgarian Khan (monarch). Drive to Varna/Bourgas. Overnight in Varna/Bourgas. Transfer to Varna/Bourgas airport and departure.